Hi guys, I’m finally reviewing some products, something I’ve always wanted to do on the blog, and this time of year is perfect. My local Walgreens (which is dangerously close to my house, within walking distance actually), has had an influx of new products in the last month. 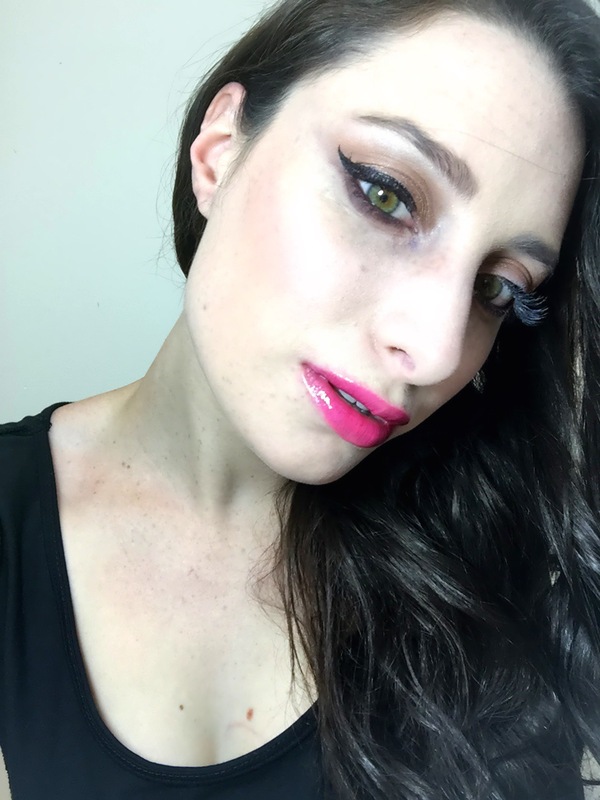 The first new releases that caught my eye were the Maybelline Rebel Bloom lipsticks, I’ve always loved Maybelline lipsticks, so I knew I had to test out some of these funky and vibrant shades which are perfection for spring. The collection includes 10 shades, including nudes, pinks, purples and coral/red shades. They retail for $7.49 a piece, but most drugstores have a buy one get one 50% off deal. I picked up two shades, because lets be real I’m ballin’ on a budget after the holidays. I also picked up the new Master Conceal in Fair, the new Lashsensational Mascara and one of their new Color Elixir Iridescent lipgloss in Mystical Magenta. Continue on for reviews and swatches of all the products mentioned above. 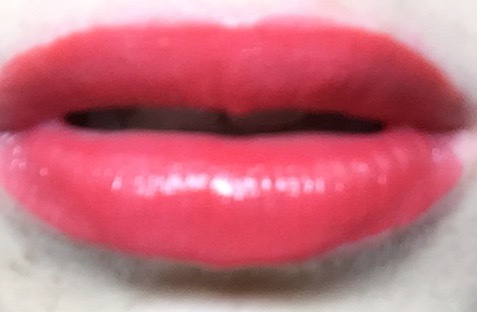 I had very high hopes for both lipsticks, Rose Rush and Orchid Ecstasy, as I love love love Maybelline’s Colorsensational line. I personally think their lipsticks are more pigmented and long-lasting than many high-end brands. These lipsticks have a semi-shine finish, glided on easily and offered decent pigmentation. I wore Rose Rush for 8 hours at work and even after eating the lipstick left a nice corally/red stain on my lips. 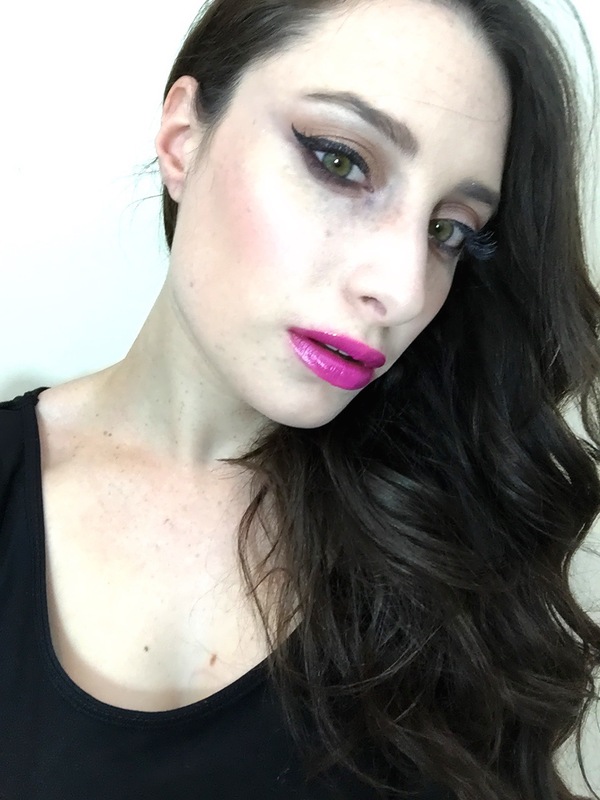 This lipstick I felt performed better than Orchid Ecstasy which I had to put 2 coats of color on to get the pigment I wanted. Don’t get me wrong it is pigmented, but not the BAM in your face purple I wanted in one swipe. Orchid Ecstasy wore well too, and lasted for about 4 hours. Overall I would say these are nice spring lipstick colors, that you can’t find in many other drugstore lines, if any, for the price. I’d give them a B+, whereas I’d give the other Maybelline Colorsensational lines an A, but still a great lipstick. I’m interested in trying more shades, especially Lilac Flush. P.S. 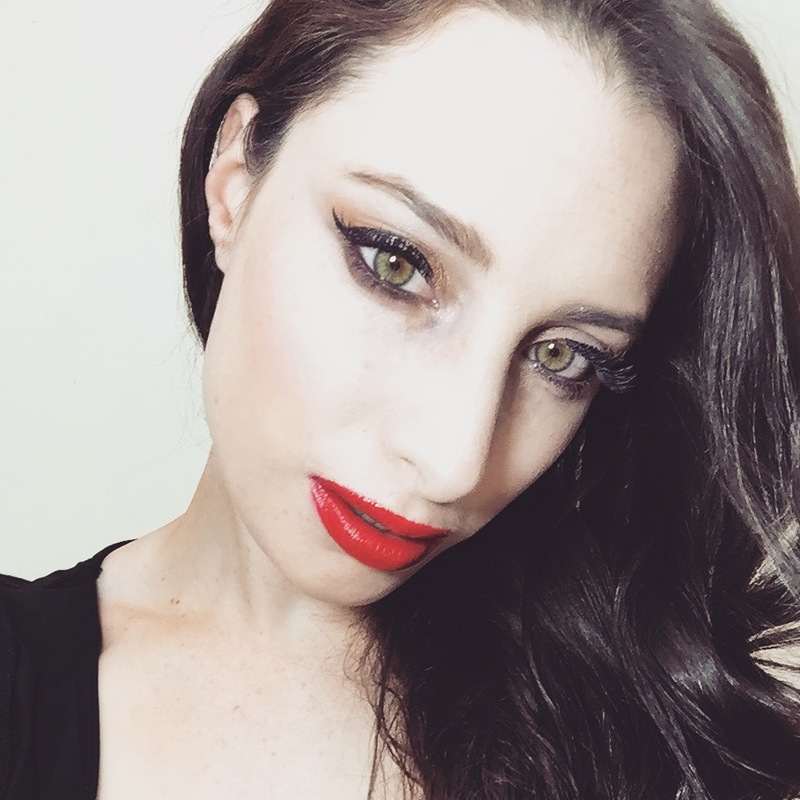 Jordana lipliners in Silver Lilac and Sedona Red go perfect with these. The Maybelline Color Elixir’s have always had a nice formula, not sticky and fairly pigmented. 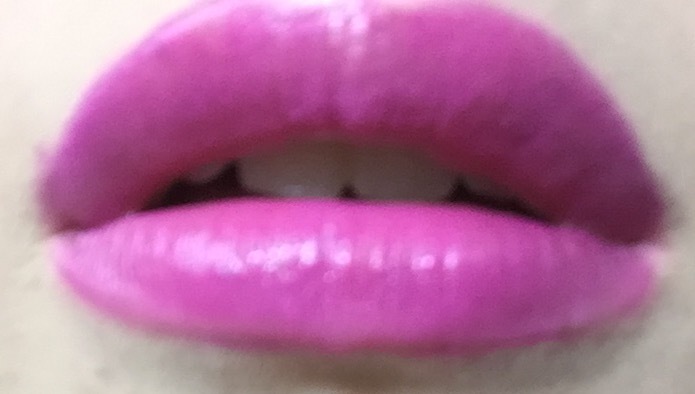 I feel they get a bit goopy over lipstick, in the picture above I’m wearing it alone, but on their own they are a nice gloss. These lipglosses are $8.99, and personally I’m not in love. This particular color had okay color payoff and tiny sparkles (the sparkles were not gritty, but nice), but nothing that had me running out to buy five more. I’d give it a C, but I’d buy the Revlon HD Lip Lacquers instead, which have more pigment and can be layered over a lipstick, also they’re $7.99. 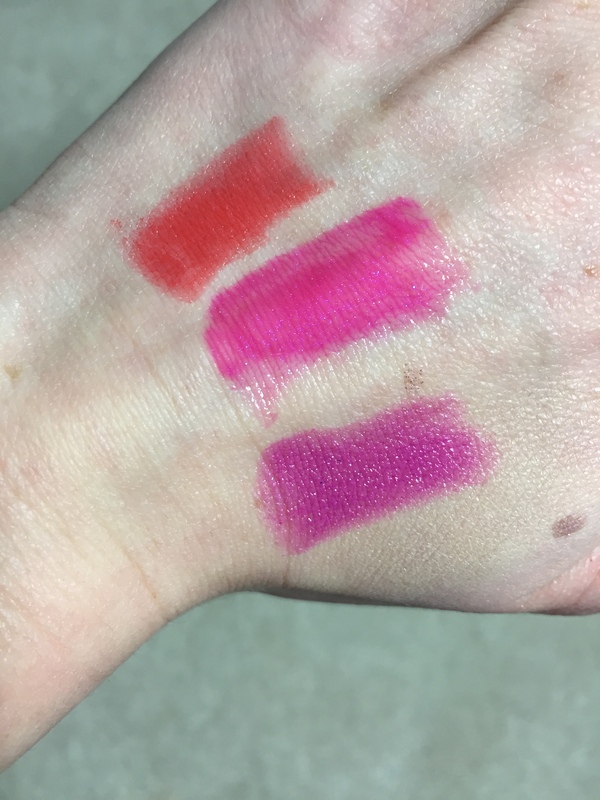 From left to right: Rose Rush, Orchid Ecstasy and Mystical Magenta. All of these pictures are unedited and true to color. I did not have any hopes for this product, I love Maybelline’s Dream Lumi highlighting pens, but I’ve never been a huge fan of their concealer’s. But I wanted to try this out and I have to say, IT IS AMAZING. 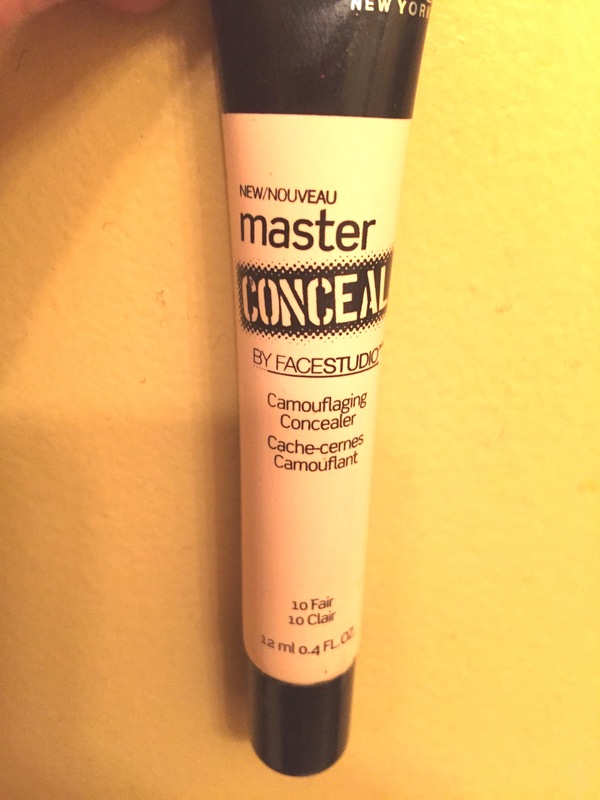 This concealer has more coverage than even my MAC Prolong Wear, and at $7.94, it’s a steal. Also the range features five colors, with warm and cool tones as well as two great darker shades. I will warn you, this stuff is thick, so a little goes a long way. I love this for covering redness or discoloration, but because it’s heavy I will probably use something else to highlight under the eyes and on my nose. But in a pinch it can be used anywear. I’d just use a tiny amount under the eyes. I love this on the sides of my nose most, which is where I have the most intense redness. I’m going to come right out and say it: the only thing I like about this product is the pretty rose gold packaging. 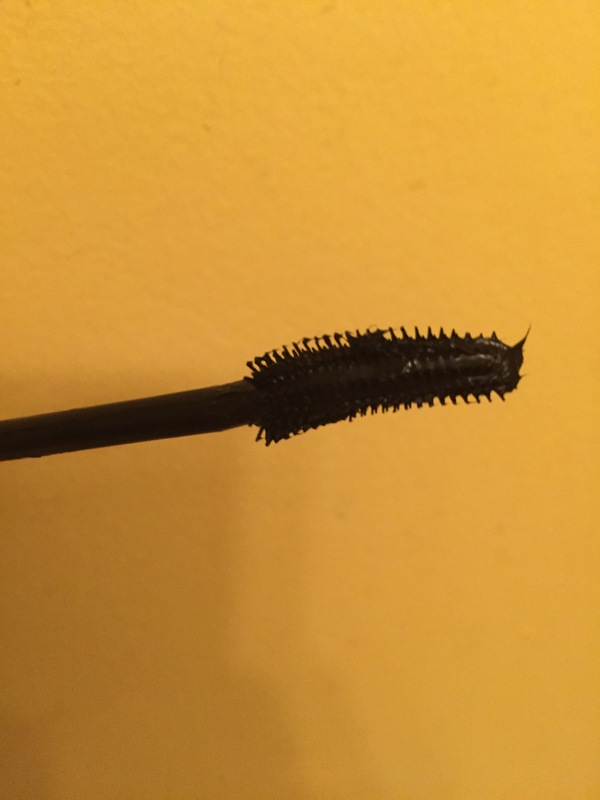 I hate the curved brush, it clumps and the product is difficult to build up on my eyelashes. Also this is not ideal for bottom lashes, it gets on my skin super easy. 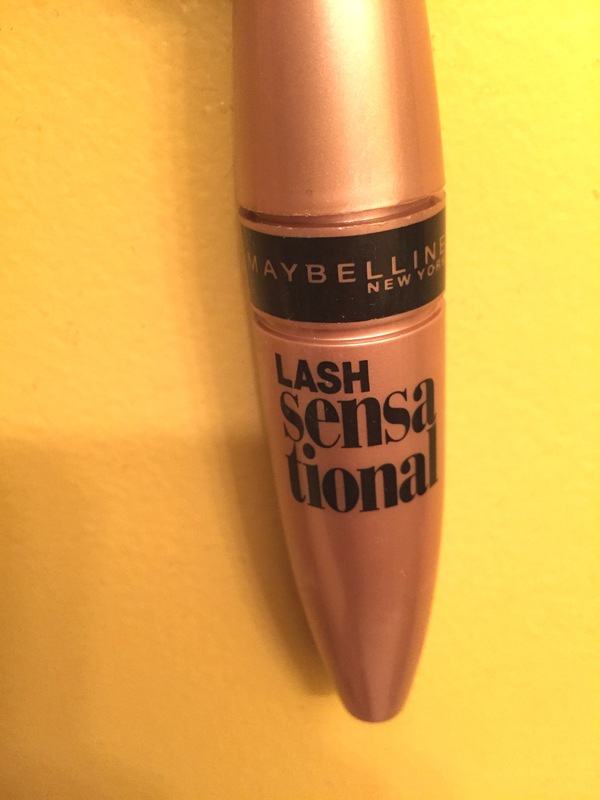 This product was around the $8 mark and I’d go with Maybelline’s the Rocket over this. I tried using this for a few days and grew to dislike it more and more, but it may work for someone with a different lash style. One of my friends loves it, but I went back to my old mascara. *Sorry non of the products the new products have links, noone seems to be selling these online yet, but I found all of mine in Walgreens.